I love a musical. RKO’s Fred Astaire – Ginger Rogers films of the 1930s are masterclasses in elegance, wit and several key chapters of The Great American Songbook. Warner Bros’ Busby Berkeley musicals, which have been referenced in everything from The Producers to The Big Lebowski, combine jaw-dropping choreography with a sassy insight into life during the Depression. The Fox musicals of the 1940s are brash and gaudy like Christmas baubles and just as cheery. Even the French have contributed to the Hollywood musical genre – thanks to Jacques Demy’s cultish homage Les Demoiselles de Rochefort. But one brand of musical towers head and shoulders above every other: the MGM musical. The mere phrase conjures up a string of iconic images – Gene Kelly ecstatically splashing about in puddles, a be-ginghamed Judy Garland skipping off down the Yellow Brick Road, Frank Sinatra and Bing Crosby singing while supping at the bar, Fred Astaire and Judy Garland slumming it as tramps, Maurice Chevalier crooning his way through a park packed with pretty Parisiennes. Between 1939 and 1959, Metro Goldwyn Mayer took the musical genre to a new level – well, several new levels, actually. They gave us the first musical with black stars in the leading roles – in the shape of Cabin in the Sky, in 1943, and six years later, they took the musical out of the studio and on location, with the groundbreaking New York-set classic On the Town. 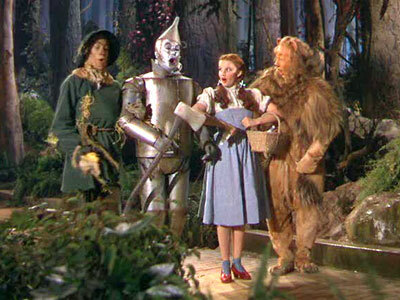 But first and foremost, the studio gave us The Wizard of Oz (1939). The most beloved movie of all time and one of the most perfect screen musicals, it set the standard for the MGM musicals of the next two decades. 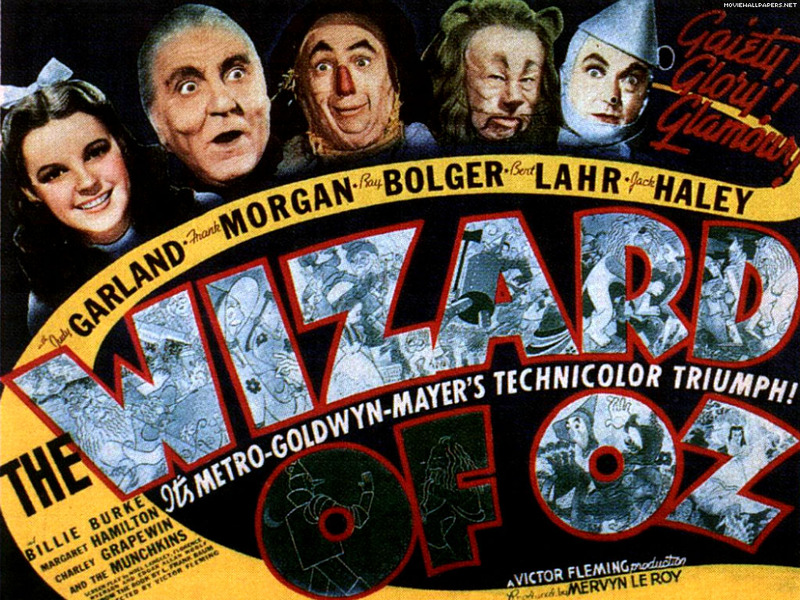 Unlike many of the 1930s MGM films, which featured such “straight” actors as Cary Grant, James Stewart and Jean Harlow trying (with varying degrees of success) to sing – and which seemed like a half-hearted nod towards the possibilities of singing and dancing on film – The Wizard of Oz threw itself behind the genre by featuring only the creme de la creme of talent in every department. And whereas the musicals up to that point had been very self-conscious about the use of song ‘n’ dance routines – they invariably featured in “let’s put on the show right here” style plots – The Wizard of Oz blended them seamlessly into the story, just as the songs, by Harold Arlen and EY Harburg, rose organically out of Arlen’s score. Requiring 29 sound stages, 65 sets, hundreds of costumes, 150 singing and dancing midgets and breath-taking special effects, The Wizard of Oz was typical of MGM’s opulent, no-expense-spared house style – but it was their most ambitious musical to date, and the first in colour. 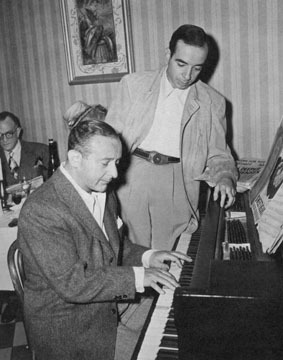 As a result of its success, studio chief Louis B Mayer decided to set up a musical unit at MGM with Oz producer Arthur Freed (the man who had ensured that Over the Rainbow be reinstated to the film, after it had been cut) at the helm. And it is to Arthur Freed, says hotshot young conductor and arranger John Wilson – who thrilled audiences with his rapturously received 2009 Prom concert of MGM music – that much of the credit for these glorious musicals is due. A passionate champion of film music, John Wilson has spent the last few years reconstructing the long-lost scores for many of the legendary MGM musicals and as a result is more intimately acquainted with every last detail of these great films than most of us. He puts the unrivalled greatness and splendour of the MGM musicals down to the fact that “MGM had a sort of repertory company, in the shape of the Freed Unit. Their musicals were the best ever made because Freed had this extraordinary gift of assembling talent, and he had a very loyal group of craftsmen that he used time and time again – directors Vincente Minnelli and Charles Walters, composer/arrangers Conrad Salinger, Johnny Green and Andre Previn, choreographers Gene Kelly and Hermes Pan, costume designer Helen Rose etc, etc. He had the same people doing the same job year in year out – they really knew what they were doing.” As a result, every aspect of films such as Meet Me In St Louis, Singin’ in the Rain, The Band Wagon and Gigi was absolutely first class. 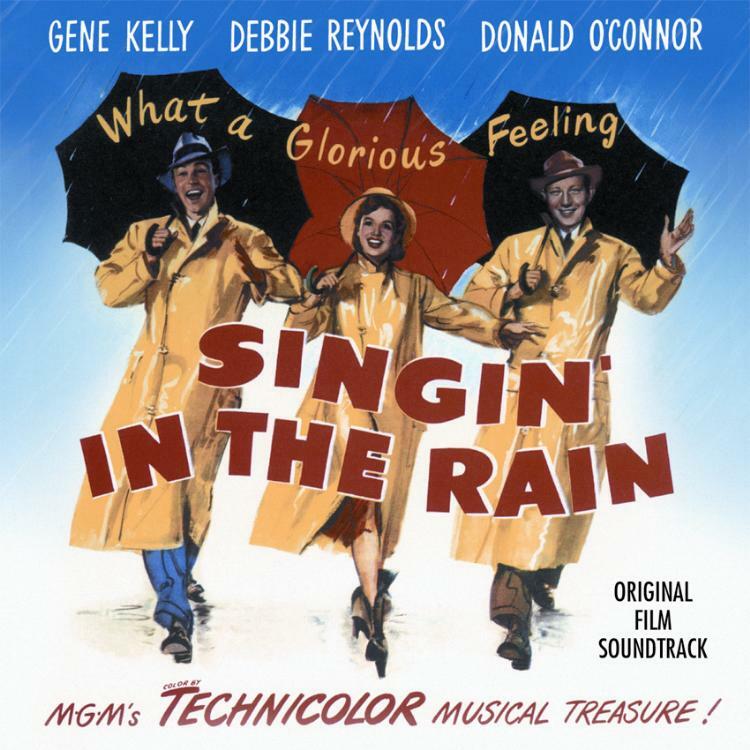 Of course the perfect example of that – and much else besides – is Singin’ in the Rain (1952), the ultimate Freed Unit production (not least because he also co-wrote the title song!). As Wilson points out, “you could watch that and enjoy it even without the music”. But, oh, what music. Pick any legend of American popular songwriting and you’ll find he worked for MGM during the glory years. Cole Porter, Irving Berlin, Richard Rodgers, Harry Warren – they all wrote songs for MGM – and in some cases, the songs outlived or outshone the films. And it wasn’t just the songwriters whose music enchants. When John Wilson conducts this stuff it is thrilling for a number of reasons, among them the fact that you’re hearing the exact arrangement of whichever song as you know it from the film, and the rare treat of also getting to hear the incidental music which leads in and out of those very familiar songs. This was another area where MGM excelled, thanks to its master arrangers who wrote for a peerless in-house orchestra which was reckoned to be as accomplished as any symphony orchestra. At the end of the day, the MGM movies endure because they are meticulously crafted works of art which offer pure unadulterated escapism and complete and utter joy. As Gene Kelly sang in the 1951 MGM extravaganza An American in Paris, “who could ask for anything more?”! 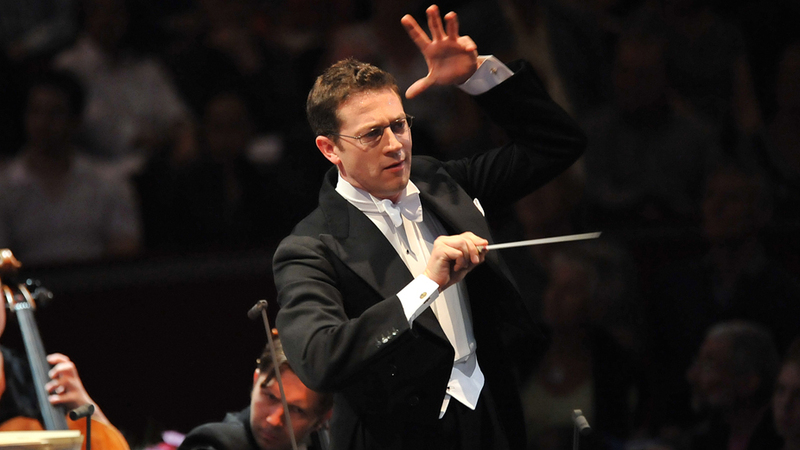 * A Celebration of MGM Film Music, with John Wilson conducting The John Wilson Orchestra plus singers Curtis Stigers, Kim Criswell, Sir Thomas Allen and Seth MacFarlane, is at the Glasgow Royal Concert Hall on Sunday, November 28. Favourite number? James Stewart singing Easy To Love in Born To Dance (1936). * Parky’s People – The Lives – The Laughs – The Legend (Hodder & Stoughton) is out now, and The Michael Parkinson Collection (BBC DVD) is out now. Favourite film? Meet Me in St Louis (1944), maybe because it’s an idealised vision of America that you hope and think maybe did exist – but probably never did. It’s got great songs, Judy Garland probably never looked happier or healthier, the cinematography is wonderful – there’s a kind of warm glow to it – and I think the cast throughout are perfect. It seems there has been a recent trend in the last few years to revive the musical genre for a modern audience (Les Miserables, Mama Mia etc). While I support the revival of supposed ‘out dated genres’ (musicals, silents etc), I however do not believe that the magical days of the MGM studio musicals can ever be revived – once you have attained perfection, everything else merely pales in comparison. Gene Kelly believed that it could be accomplished. What you need is someone at the helm who has good taste and knows talent. Kelly said in his last years that he believed that the talent today is better than the talent that was available in the 30s and 40s…and that was before all the technological breakthroughs in filmmaking in recent years. What will probably not ever be duplicated is the star system and the vast talent that was employed by one single studio on a steady basis, year after year. Back in the late 70s and early 80s, people were saying that feature animation was dead, never to return. Boy were they wrong. Feature animation is the dominant medium now in terms of dollars. All you need is one person with a vision and a way to pull it off. I believe that the demise of the MGM musical began when the studio fired Judy Garland in 1950. Though it produced a number of great musicals in the 1950s, the yellow brick road ultimately reached a dead end on a high cliff, from which that special magic could never return.